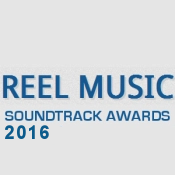 Now that most of the music for 2016 has been released (I hope so anyway) it’s time for Reel Music to take a look back over the year just passed. I thought that 2016 was another good year for film, television and videogames music and here I want to highlight some of the scores that I particularly enjoyed and which have stood out above the rest. It’s not about what’s the ‘best’ scores of the year though; it’s more a celebration of the music that are favourites of mine. As with previous years, I have several categories into which the year’s output has been divided and within each category I have chosen (or ‘nominated’) my favourite ten scores*. It’s difficult to articulate the decision process for choosing the various scores: there’s no formal mechanism, it’s how the music makes me feel both as a separate listening experience and – if I am lucky – how the music sits within the medium for which it was written. The quality of music written in 2016 has been very high and many worthy titles have, unfortunately, had to be put to one side and don’t feature in my selections. I am hoping that my choices will be of interest to people and I would always welcome any feedback on my selections (or my omissions!) I hope that you will want to check out any unfamiliar titles I have listed. The winners will be announced on Monday, 30th January 2017. *Note: where there are not enough releases to warrant selecting ten titles, I have chosen five titles. No nominations for this award will be announced at this time. The winner will be chosen from one of the category winners (excluding the Archival Score categories). This overall award will be announced alongside the various category winners on January 30th. Kubo and The Two Strings (USA, Dario Marianelli) Warner Bros.
Outside (FRA, concept album by Maximilien Mathevon) Plaza Mayor Company Ltd.
Alan, you are a real mentor to me as your lists are always full of material I know nothing of and composersI have yet to discover. Thank you. Thanks for the nice comment. I hope you find something you like whilst checking out some unfamiliar titles.